Planning your trip to coincide with a national holiday can be a fast-track way of getting to the heart of a culture. 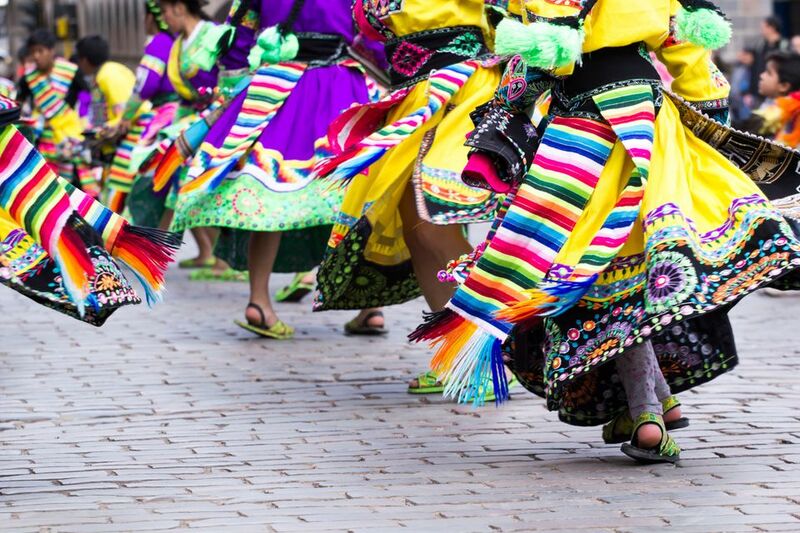 You can try out your best samba in Brasília or get stuck into a plate of dumplings in Beijing because we’ve got the inside knowledge on how to celebrate national festivals like a local. There’s no better place to celebrate the signing of America’s Declaration of Independence, which took place on 4 July 1776, than New York City. 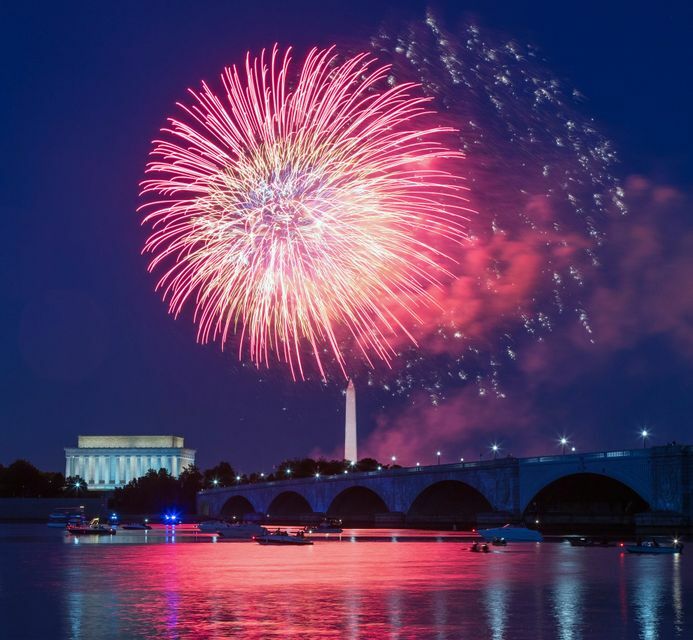 Americans celebrate with parades and fireworks displays all over the country’s 50 states, but the biggest event of all is Macy’s Fourth of July fireworks. Thousands of shells are fired into the dark Manhattan skyline from seven barges on the East River. Rockets reach three times the height of the Statue of Liberty – that’s 279m, in case you were wondering! But first, start the day at Coney Island, where you can witness the world-famous Nathan’s Fourth of July Hot Dog Eating Contest. The current recordholder polished off 70 hot dogs and buns in 10 minutes. Next, make sure to check out the ‘freaks, wonders and human curiosities’ at The Circus Sideshow. Finally, head back to get a good spot for the evening’s fireworks – either at a free viewing site on FDR Drive, from a sightseeing cruise (book these well in advance) or at the Riverpark Backyard Barbecue Bash, which has an all-you-can-eat buffet. Where to stay: nab a room at boutique Soho hotel The James New York and you won’t even need to venture into the crowds to see the fireworks, since the rooftop bar offers one of the best panoramic views in town. Rooms from £215. Unless you’re a serial Glastonbury-goer, chances are you’ve never lived out that childhood dream of frolicking in mud. 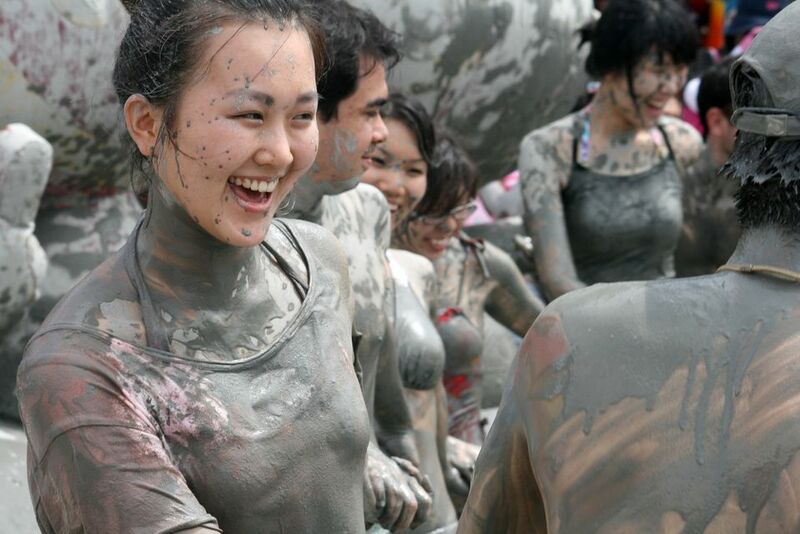 One other place on earth where it’s truly acceptable to do so is at the summer mud festival in Boryeong (a town around 200km south of Seoul, which is famous for its nutrient-rich sea mud). For two weeks every July since 1998, the festival has attracted millions of visitors to its ‘Mud Experience Land’ – a stretch of Daecheon beach that is covered in mud transported over from inland flats. There’s a mud pool, slides, mud skiing competitions and body painting, as well as a market along the seafront selling mud-based cosmetics (which are celebrated for their antibacterial and antiseptic properties) plus acupuncture, massages and other treatments. We recommend booking your visit to coincide with the final weekend, when festivities reach their peak. Expect K-Pop and EDM concerts on the beachfront stage, as well as parties at every venue in the area. Need to wash the mud off? The sparkling waters of the Yellow Sea are right in front of you. Where to stay: Hotel Mudrin is at the heart of the action at Daecheon beach, making it a perfect base for your mud-tastic stay. The private ocean-view balconies provide a lookout post for the goings-on below. Rooms from £92. Peru’s independence from Spain was proclaimed on 28 July 1821 by Latin American liberator José de San Martín. Now, Fiestas Patrias is one of the most important celebrations in the country’s calendar. In Lima, proceedings begin at dawn on 28 July with a 21-cannon salute and flag-raising ceremonies, followed by a morning Catholic Mass and a presidential address to the nation. On 29 July, the Great Military Parade by the Peruvian Armed Forces and police travels through the streets, which are draped in the country’s flag for the duration of July. For a visitor, Lima is at its most vibrant during this July weekend. Arrive the night before to enjoy the huge fireworks display in the Plaza de Armas and the buzzing party in the Parque de la Muralla, where traditional folk dancing will take place to the sounds of Afro-Peruvian song, rock, and reggaeton. Upgrade your Pisco Sour to a Liberator’s Punch – it’s served hot and made from white and gold rum, stout, evaporated milk, cane sugar, and egg. Where to stay: right around the corner from the Plaza de Armas – the main square and the centre of the festival’s activities – is the Hospedaje Santa Rosa, a pretty, historic hotel that’s walking distance from all of Lima’s top attractions. Rooms from £35. Once a colony of Portugal, Brazil gained its independence in 1822 before becoming a republic when its people overthrew the monarchy in 1889. The country’s liberation is celebrated with street parades, official speeches and flags raised throughout the nation. But the main events take place in the capital city, Brasília where a huge military parade marches down the Eixo Monumental, in front of some 30,000 spectators. Keep your eyes peeled for the aerobatic show from the Esquadrilha da Fumaça air squadron – it swoops over the balloons and banners that decorate the city. 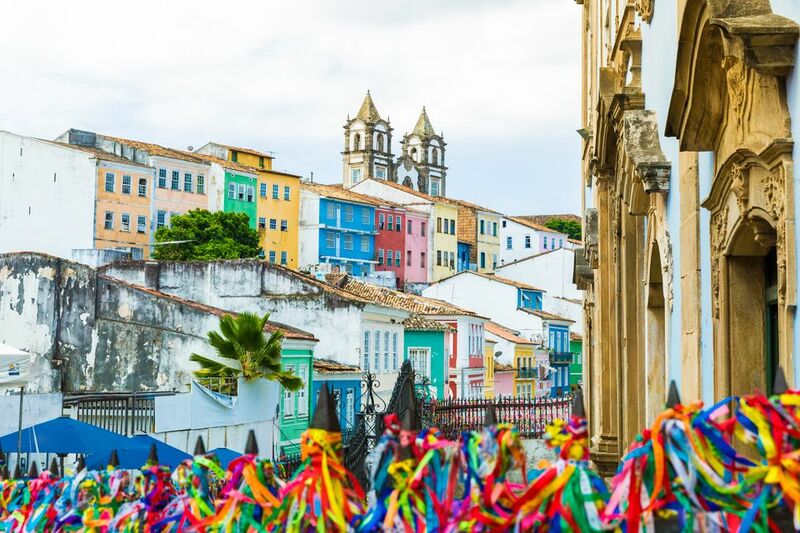 Brazilians love to party, so join in the celebrations like a local: with a caipirinha in hand and swaying to samba in the sunshine. Outdoor concerts and picnics take place all over Brasília, and families gather on the city centre’s streets in the evening to wave streamers, sing in unison, and watch an enormous firework display. Where to stay: the high-rise Meliá Brasil is a stone’s throw from the Eixo Monumental main drag. You’ll be in safe hands thanks to its reliable internet, rooftop pool and tasty breakfast. Rooms from £47. If you’re travelling to China for Chinese New Year, don’t expect to be the only one. Some three million domestic travellers trek across the country to their hometowns – the largest annual human migration in the world – during the month-long period following the New Year. Brave the crowds, though, and you could be rewarded with one of the most culturally vibrant travel experiences of your life. All over China, houses are decorated with red cloth and red paper cuttings are taped onto windows bearing messages of good fortune, because the colour red symbolises luck, happiness and prosperity. Firecrackers are set off with abandon, in celebration and (according to Chinese mythology) to ward off the dragon-lion monster Nian. In Beijing, it’s traditional to eat jiaozi dumplings, which symbolise prosperity. And the best place to dine? The miaohui temple fairs, filled with families chowing down on candied ham and chestnuts. All the while you’ll be entertained by Peking opera performances. 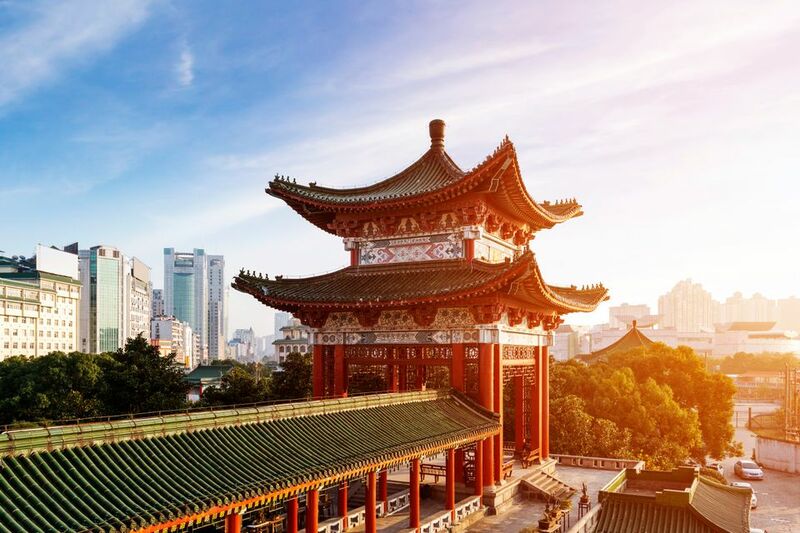 Where to stay: plonk yourself just moments from the tourist hotspots of Donghuamen Night Market and St. Joseph’s Cathedral at the intimate six-room Palace Hotel Forbidden City in Beijing – a home-from-home during the family-focused festival. Rooms from £78. Which party invitation are you ready to accept? Start searching for flights and get ready to join the locals. All flight and prices mentioned in this article are estimates of the cheapest prices based on Skyscanner’s flight search tools. These are subject to change and were correct at time of writing on 8 April 2019.